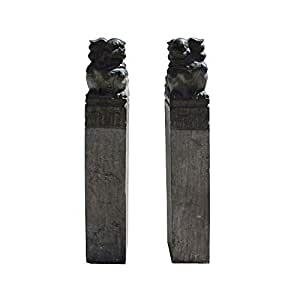 This is a pair of traditional Chinese slim stone pole statues with Foo dogs carving on a plain tall base. They have a Fengshui purpose as well as a divider or an entrance accent. It is a charm meaningful Fengshui statue at the home or as a decorative piece at the garden.